This road rail lorry can be set up with 2 trailers that can be transported to site in the rear body. The trailers have extended tow bars to allow the movement of long structures, etc. to site. The Palfinger PK27002 crane is more than capable of lifting 1.0 tonne at maximum reach. The crane is fitted to the rear of the body, allowing the rear body to be utilised to its full capacity for transporting of goods when the MEWP basket is not attached to the body. The MEWP is capable of taking 350kg (approx. 3 men plus tools). When not in use the platform can be removed from the lorry allowing the flat bed to be used to transport tools or drum carriers. 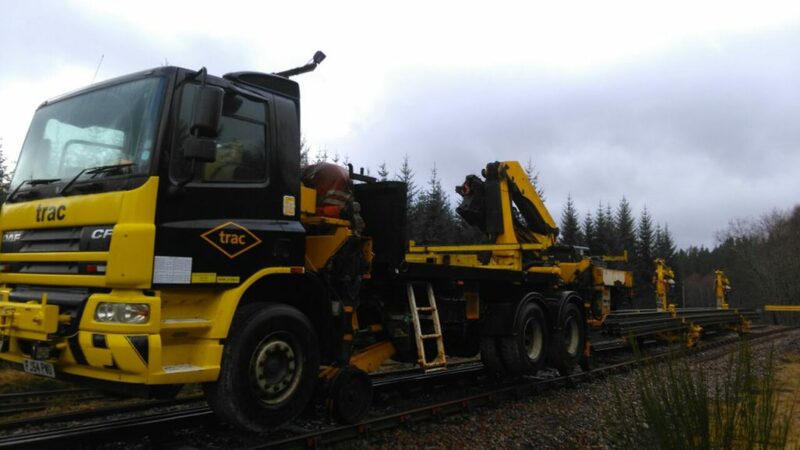 When on track and in rail mode moving the machine can be operated from either the driving position or from the MEWP basket.